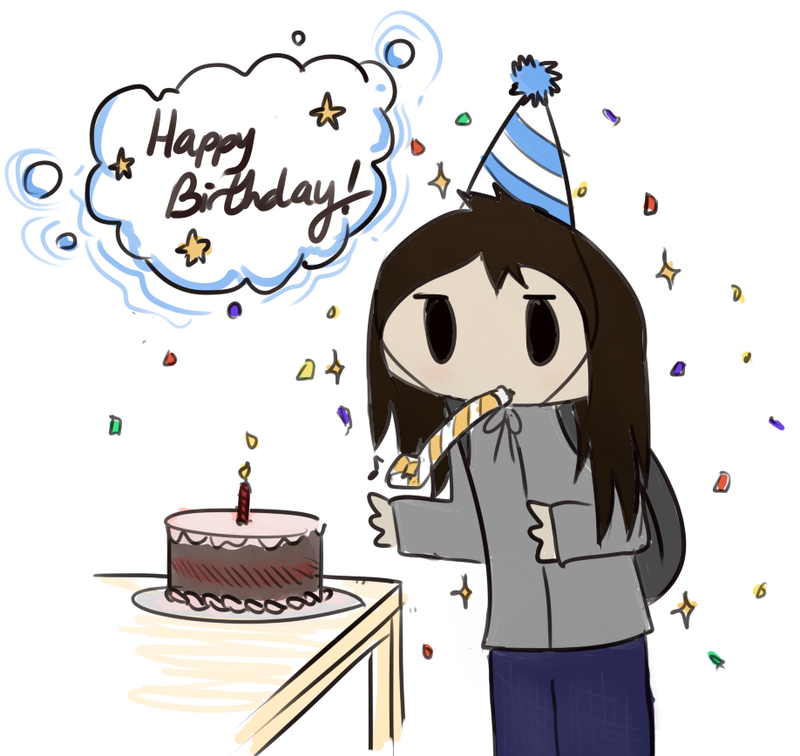 On a completely unrelated note, today is my birthday. Please telepathically wish me a happy birthday. Update: I got a significant number of happy birthday wishes. I tried to mentally broadcast my appreciation, but the signal kept getting jammed by the song stuck in my head. Apologies for the earworm I may have infected you with. …Is it okay if I make a fanart page and list that as fanart? Wow, that was almost social interaction!